Broadly stated, AI uses complex mathematical algorithms to produce actions usually associated with human intelligence. Early versions are already in place at many financial institutions: think of IVR decision trees and neural networks for loss prevention. The vision for “pure” AI is to enable machine learning to infer connections and determine required actions without the need for pre-defined algorithms. This remains an aspirational goal, the stuff of science fiction plotlines that leaves some mere mortals uneasy. There will certainly be growing pains along the way, and the need for guardrails in certain circumstances. But let’s first consider the potential benefits. AI will enable the automation of an ever increasing number of low-value processes, freeing staff to devote time and effort to more critical tasks. AI will also harness unstructured data to unearth patterns or anomalies across transactions that might indicate fraud or money laundering, flagging them for human investigation. Many of these activities – account reconciliation, loan approvals, report generation – reside in the back office. As the public’s growing acceptance of chatbots indicates, however, AI will play a meaningful role in client interactions as well. The key for institutions will be to ensure live human support is readily available whenever the customer desires it, and that staff are retrained and redeployed to create customer delight in the areas best situated to achieve that goal. For instance, “first call resolution” is a common call center metric for customer satisfaction, and for good reason. When a client reaches out with an issue, being able to provide a fix without endless back-and-forth is a clear win. What if AI allowed the bank or credit union to flag and address a problem before the customer called, or even before they noticed an issue? Now THAT’S customer service – and zero call resolution. There are undeniable dangers to guard against as well, although most are solvable with proper diligence. By definition, “machine learning” requires inputs and examples from which to learn. The adage “garbage in, garbage out” comes into play here; we must take care to ensure AI doesn’t become a vehicle to codify existing biases. An extreme but well-known example involves Microsoft’s launch of an experimental Twitter chatbot. Within hours zealots had trained it to respond to queries with hate speech. In an institution setting, one could envision poor inputs leading to inadvertent “redlining” scenarios. Audit trails will certainly be important, perhaps more than ever. Simply placing faith in AI’s “black box” will prove insufficient once audit time rolls around. Financial institutions will be expected to explain why certain decisions were made. “Because the computer told us to” won’t cut it. Another risk: since AI thrives on large amounts of data, consolidating often sensitive information in a single location creates an enticing “honeypot” target for hackers. 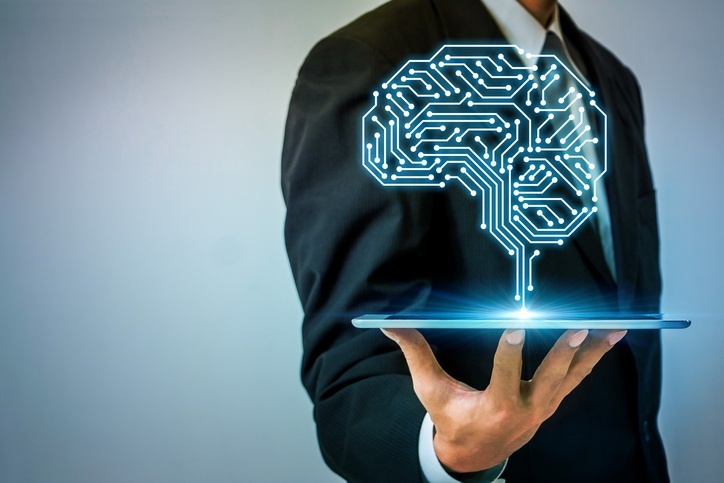 While there are certainly risks and benefits to be balanced, banks and credit unions must remain clear-eyed about the fact that consumers are already conditioned to expect the features stemming from AI. It’s important for institutions to engage in the learning process now – local universities are a great source of partnerships – even if they don’t intend to introduce solutions in the near term. AI is not a field in which one can go from 0-to-60 overnight.